Lar España Real Estate SOCIMI, S.A, (hereinafter Lar España) is a SOCIMI (Listed Real Estate Investment Company) that has been listed on the Madrid Stock Exchange since 5 March 2014. It was founded at an ideal juncture in the Spanish property cycle when real estate prices had just bottomed out at record lows and the real estate market was entering a new cycle. Lar España also ushered in a change of trend for the Stock Market, as it was not only the first Spanish SOCIMI to be floated, but it was also the very first listing to take place following a three-year dearth, and the first listing of a real estate company in seven years. Lar España is exclusively managed by Grupo Lar, a real estate company whose extensive experience in the sector is of particular note. It boasts a large team of professionals that actively manage and work to diversify the portfolio in order to maximise its operational efficiency, as well as each asset’s yield. The company’s business activity focuses on investment in real estate assets throughout Spain, mainly in the retail sector. The objective set out for the company when it was first created was to invest in the Spanish real estate market under a long-term asset management plan. A plan, aimed at generating high returns for its shareholders, via the payment of considerable annual dividends, and creating value by increasing the company’s EPRA NAV. To create unique shopping experiences through the combination of retail and entertainment, linking the physical and digital worlds. To offer unique shopping experiences through the profitable management of our new-generation retail assets, with an intensive use of the technology and being the best partner for our retailers and customers. Always with ultimate goal of maximizing our shareholder’s return. June 30th 2018, Lar España’s shareholders include some of the most important investment and financial groups in the world, such as PIMCO and Franklin Templeton. The Board of Directors is Lar España’s main governing body, the role of which is to supervise the management of the Company with the common aim of championing social interest. It is also Lar España’s management system and possesses the most far-reaching powers in terms of the running of the company, except for matters that require approval from the Annual General Shareholders Meeting. 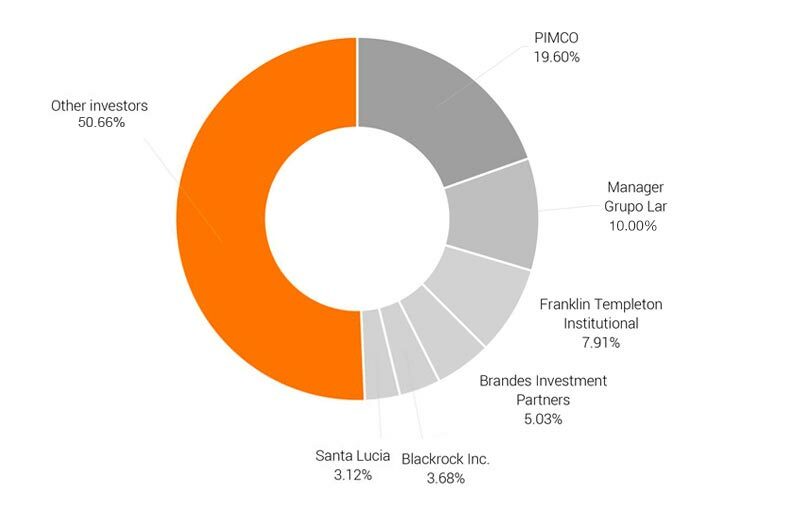 It is comprised of 5 independent Directors and 2 Proprietary Directors, from Grupo Lar and PIMCO. All of the members of the Board of Directors hold or have held senior executive positions in listed companies in the financial and real estate sectors. Lar España also features a Management Team that runs Lar España and is comprised of three people (two men and one woman) that benefit from extensive experience in the real estate sector, as well as an expert knowledge of the market. Jon Armentia has been the company’s Corporate Director since 2014. Jon was appointed Financial Director of Grupo Lar in 2006, and head of the shopping centre area. Prior to joining Grupo Lar he worked at Deloitte (formerly Arthur Andersen) for four years. Jon has a Bachelor’s Degree in Business Management and Administration from Universidad de Navarra and has over 15 years of experience in auditing, finance and real estate, during which time he has served on several Committees and Boards of Directors. Susana Guerrero is the Legal Manager and Vice-secretary to the Board of Directors of the Company. She joined Lar España in November 2014. She previously worked as a corporate and M&A lawyer at Uría Menéndez for 10 years. 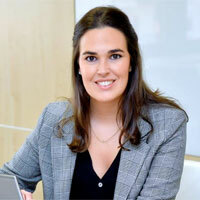 Susana studied law at the Universidad Complutense in Madrid and has an LLM in Business Law from the Instituto de Empresa (IE). 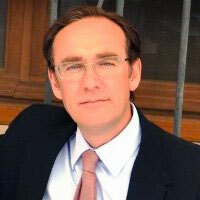 Hernán San Pedro is the Company’s Head of International Relations. He joined Lar España in January 2016. 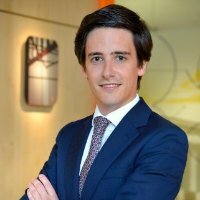 He previously worked as Head of IR at Sacyr Vallehermoso, Skandia-Old Mutual Group and Banco Santander. Hernán studied Law at Universidad San Pablo – CEU (Madrid), holds an MTA from the European Business School and has over 25 years of experience in different positions within the financial, construction and real estate sectors. Lar España aims to comply with the highest international standards of transparency, comparability and commitment. Hence, it is a member of the European Public Real Estate Association (EPRA), the leading international association in the sector, which aims to provide comparable financial information between publicly listed real estate companies. On June 4 2015 the SOCIMI joined the FTSA EPRA/NAREIT index, a select global index designed to showcase general trends, which includes some of the biggest real estate companies in the world. Lar España also collaborates with MSCI-IPD and forms part of its annual real estate index, IPD Spain Annual Property Index, which provides additional information and visibility of the real estate sector. According to MSCI’s latest IPD report for 2017 – published in April 2018 – Lar España’s retail results comfortably exceeded the benchmark for the sector. Both Lar España’s shopping centre and retail warehouse sectors booked positive returns of 13.4% and 15.0% respectively for the year, topping the benchmark index (11.9% and 9.1%). This positive difference is due both to a strong return on capital (7.3% for shopping centres and 7.8% for retail warehouses) and to rental returns of 5.7% and 6.7% respectively. The 2017 IPD index for Spain analyses 44 portfolios, including a total of 508 assets valued at almost €18 billion in the real estate market. Creating shared value. Lar España recognises its ability to have an impact on the world we live in and has therefore set itself the objective of improving people’s quality of life, bolstering socio-economic progress in Spain and generating a financial return for investors. Lar España has a CSR Master Plan in execution that will meet the most demanding sustainability standards, both in sector specific and general terms; the recommendations of the National Securities Market Commission (CNMV); its stakeholders’ expectations; the Sustainable Development Goals (SDGs) and the company’s business targets for the coming years. Via four core principles, Lar España creates shared value that leads to economic and social progress, and also generates financial returns for our shareholders and investors. Understood as both the physical and active environment that directly impacts our financial returns and generates value for the company. Business model that aims to have a positive effect on the environment and society, as well as generate financial returns; easing environmental and social pressures generated by the business activity. People’s talent forms the cornerstone of the economic model and the company’s value. Properties that have a positive effect on their urban surroundings and generate a high return for our shareholders and investors.